Getting a ride home after a night out on the town can be difficult, not to mention expensive. Cabs are hard to hail, and surges around major events can really hit your wallet hard. Uber is looking to make this experience a little less nightmarish with a new Uber Vouchers program, which will allow restaurants, bars, hotels, and other businesses to help cover the cost of rides for customers. Uber Vouchers, which the company is rolling out now, will allow any business to provide customers with a ride home at a discounted price for one, or several, riders through its app, according to a release from the ride hailing company. For example, a restaurant can offer customers a voucher that’s good for two rides, up to $25 each. In some cases, that probably won’t cover your whole ride home, but hey, it’s something. Businesses can use the Voucher program for marketing purposes, special occasions, or just in its day-to-day services. Businesses will be able to tailor the voucher to certain specifications, like pick-up and drop-off locations (meaning you might not get a ride home, necessarily, but close) and times for the offer to begin and expire. The program will be available to Uber users in most countries, according to the company, which should be exciting news to anyone still loyal to the service. 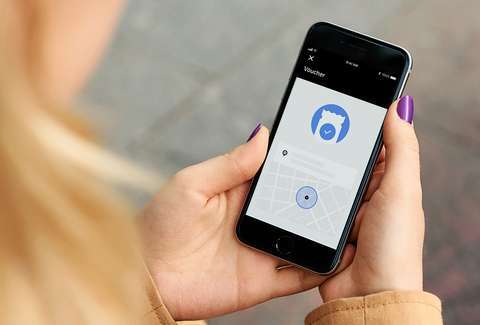 Riders will be able to access Uber Vouchers in the app, and when redeemed they’ll see it automatically added to the payment section on their app until it expires. You just have to be a Uber user to redeem vouchers from companies. If you’re not, you’ll be prompted to download the app to redeem a discounted trip to and from your destination. According to Uber, a few businesses have already started test-driving the Voucher program. TGI Friday’s, Westfield Group, LiveNation, the Golden State Warriors, and MGM Resorts were among the first businesses to access and offer Uber Vouchers. It’s unclear how popular the program has been so far, but given the cost of taking Ubers to and from some locations, especially at particularly busy times, we can’t imagine too many people were overly opposed. Of course, how well this all works out remains to be seen. But with any luck, treating yourself to a night out will come with a little less hassle in terms of getting home at the very least.